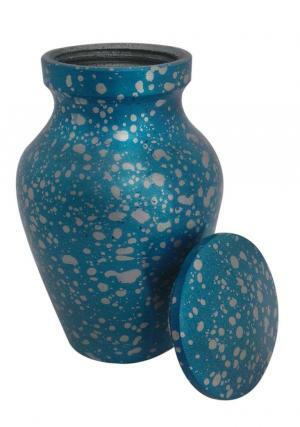 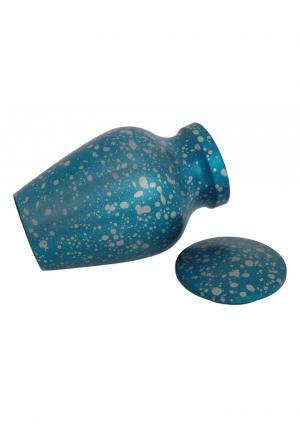 Hand Cast Aluminium Small Keepsake Cremation Ashes Urn is a handmade keepsake aluminium urn decorated in blue coated sprinkles. 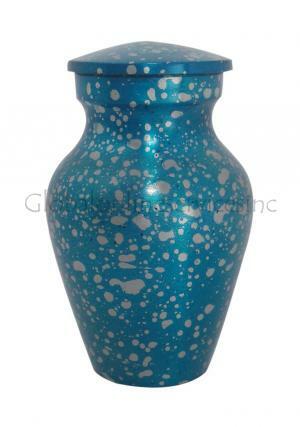 The mini keepsake urn is purely engraved from the hands of skilled professionals with high quality Aluminum. 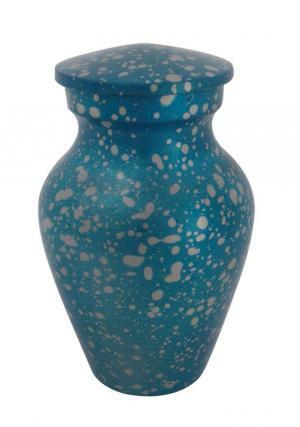 The mini funeral ashes urn is assembled with threaded screw lid on top for an easy insertion of loved ashes. 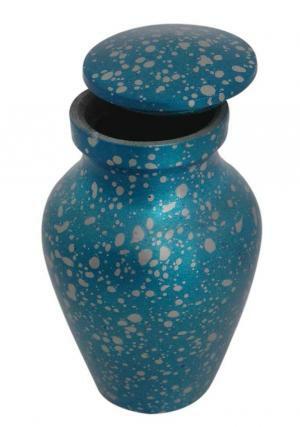 The small blue aluminium keepsake urn for ashes will make a perfect present to preserve small token amount of ashes. 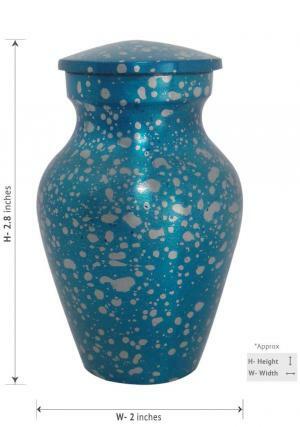 Small Keepsake Ashes Urn is beautifully measured to perfection with a usable space of 3 cubic inch to store cremation ashes with 3 inches tall, width of 2 inches and weight of 0.2 Kg.